The ÅAC Microtec Micro PCDU (Power Conditioning and Distribution Unit) was initially developed under a Swedish national mission and tailored to the requirements of the LEO microsatellite bus InnoSat. This is a state-of-the-art spacecraft architecture designed for innovative low cost research missions. 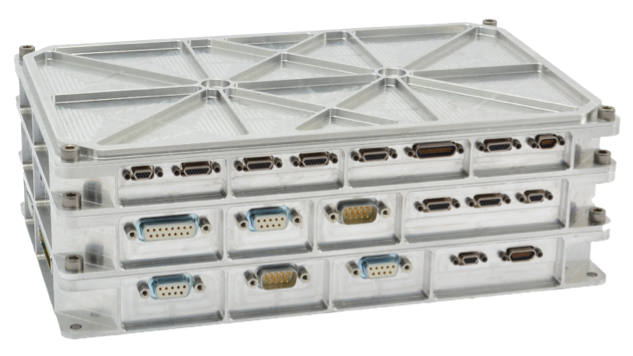 The flexible and modular PCDU is designed for mission life of up to five years in LEO and implements both power conditioning and distribution of the regulated 28 V battery bus as well an auxiliary isolated 5 V bus. The rigorous testing and extended qualification campaign compliments an innovative design approach that combines COTS and radiation hardened components and optimizes the reliability and performance characteristics of the system.